Rate this Article These games are available for free for a very limited time only - be sure to hustle on over to the app and start downloading! Google Play occasionally launches giveaways of some of its premium games. We’ve curated every premium game that has gone “free” and have listed them below. Be sure to be quick to claim them on your Android devices though - They are usually available for a very short time only! Don’t have enough space on your device to install all of them? Don’t worry – you can claim these games for your Google account without having to install them. Here’s how: When you tapped on the Install button and the free game begins installing on your device, tap on the little “X” icon at the end of the install bar to cancel the process. That way, you will have “claimed” the game for your account without installing the game... at least not yet. You can always do that later by checking your list of available games under the Library section of your My Apps menu (Swipe from the very left side of your screen to the right when you have the Google Play app opened on your device, tap on My Apps and then on Library). If you enjoy playing Flip the Knife, you’ll want to grab this one. It features all the fun gameplay similar to the original game that you love, plus a ton of collectibles and minus all the ads! Trapped in a seemingly endless dungeon filled with slime, you’ll need to battle your way to higher levels, allowing you to train new skills and discover new magic in this “dungeon crawler”-like game. The game is pretty funny as well and it’s great that the developer has a nice sense of humor. 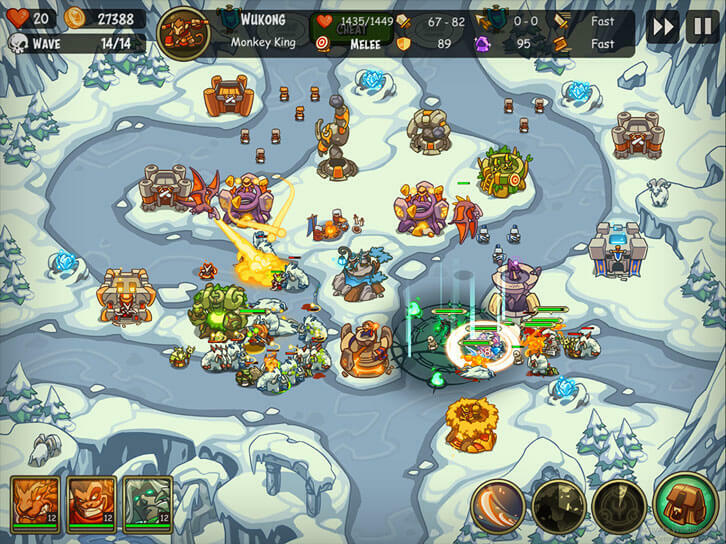 If games like Kingdom Rush is your jam, you will really like playing Empire Warriors TD. Aside from the somewhat similar graphical style, the game is challenging, fun and rather cute all at the same time. There are tons of upgradable towers, maps to play on, competitive modes, heroes and of course, no ads! With support for up to 24 players, this game lets you enjoy the childhood game of hide and seek in a blocky environment. You can have fun building your ideal home in between games too! Everybody’s RPG is a dungeon-crawling, party-based RPG that will have you raid dungeons to farm for powerful items; assemble a team of colorful characters, each with their own gear and personalities; and battle against other players worldwide. Warriors’ Market Mayhem is an adorable pixel RPG where you get to develop your team of heroes by battling AI enemies, slay epic bosses or duel with other players. There’s a nice crafting system in place as well. You can play the game while you’re offline but if you want to be able to retrieve your game account again, it’s best to save it in the cloud. CashKnight is an idle RPG that oddly enough doesn’t allow you to tap on the screen yourself. Aside from many dungeons and even PvP to participate in, the game features plenty of cool-looking outfits, soul weapons, accessories and pets for you to collect and power-up as well. Progression feels a bit slower here though. 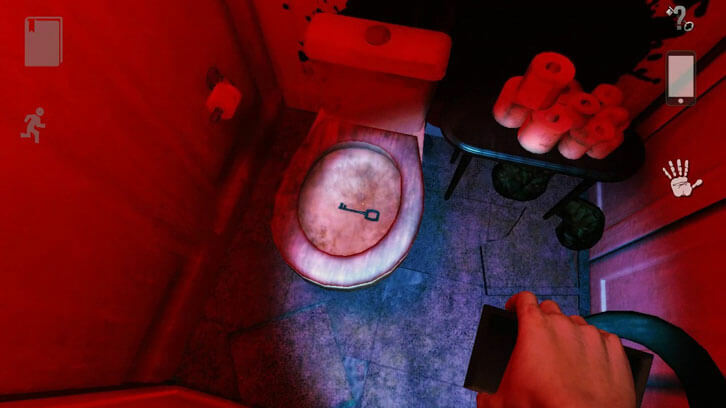 Developed by AGaming+, Reporter is a first-person survival horror game that’s not only incredibly creepy to play but the game is also filled with tricky puzzles. Despite being a mobile game, Reporter has astounding graphics and brilliant sound, allowing you to be fully immersed in the gripping storyline. The game can also be played offline. In this game, you will be wandering the claustrophobic underpass linking dozens of underground caverns together in hopes of seeking the legendary treasure. Hills Legend HD will definitely be able to satisfy both your love for creepy stories and your sense of adventure with its brilliant narrative. The poor cartoonist, Mr Paper, was only offered a measly 10 cents per episode of cartoon he produces after spending years to attain cartoon-enlightenment. However, being someone who doesn’t shy away from a challenge, he accepted the rate at the condition that he would produce an episode every 10 second. Obviously, he’ll need some help. So, set up your office space, hire cartoonists to staff it, start churning out cartoons and help Mr Paper conquer the world with a legion of cartoons! The winner of the Most Anticipated Action Game of 2016, League of Stickman was a really popular, and possibly among the very first, 2D fighting game that features a combat-proficient “shadow stick figure” and plenty of amazing combo attacks. This is one of its expansions – the other being its PvP expansion. Do you enjoy playing adorable idle RPGs? If so, be sure to grab this game while it’s available for free! The game provides 8 unique heroes for you to battle the never-ending throngs of hellish monsters, including epic bosses, with; fun PvP and a stress-free idle gameplay. Best yet, there’s no more ads for dungeons and PvP, and you’ll some nice perks such as bigger bag size and a 20% increase for daily dungeon rewards. Linia is a color-and-rhythm-based puzzle game where you have to trace a line to connect all the colored shapes. The difficult thing here is that the shapes here can revolve, change shape, move about, hide and more just so they can avoid your line. It's a challenging puzzle game that only the most persistent will succeed!